WATCH: Mass Effect Andromeda Cinematic Trailer #2 | Nerd Much? 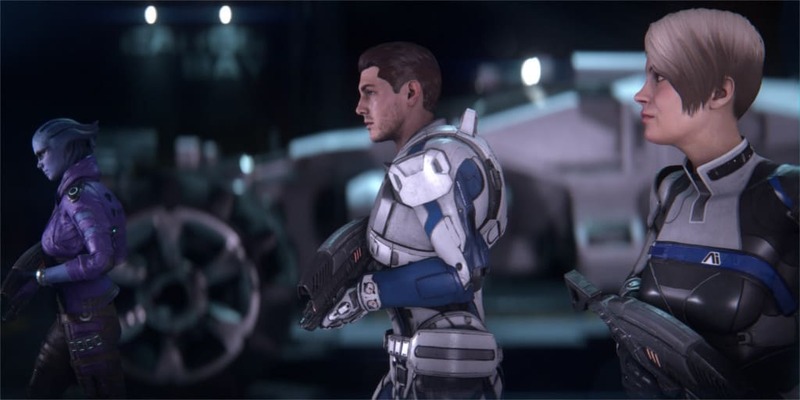 The latest Mass Effect Andromeda cinematic trailer finally gives us a better look at our fellow squad members. Each has their own talents and personalities. Two of your squad members revealed are Liam and Cora. Liam has made a name for himself as a security specialist with an expertise in crisis response. Meanwhile, Cora has experience training with the Asari matriarchs. Together, along with Alec, Scott, and Sara Ryder, they make up the core of the Pathfinder team on the Ark Hyperion. The rest of your squad includes Vetra, Peebee, and Drack. These three have already traveled to Andromeda long before. Vetra cherishes the bond between family while Peebee is a free spirit obsessed with alien civilizations. Drack is an older Krogan, but even more grizzled than normal. Still, we know that the Mass Effect Andromeda cinematic trailer doesn’t show every person we will meet along the way. There are still many more relationships to develop. While the overall story will be similar for everyone, the journey there will be completely unique for each player. Mass Effect Andromeda released March 21 in North America and March 23 in Europe. We’ve already decided that we won’t be going outside until we finish it. Guess we better stock up on canned food!